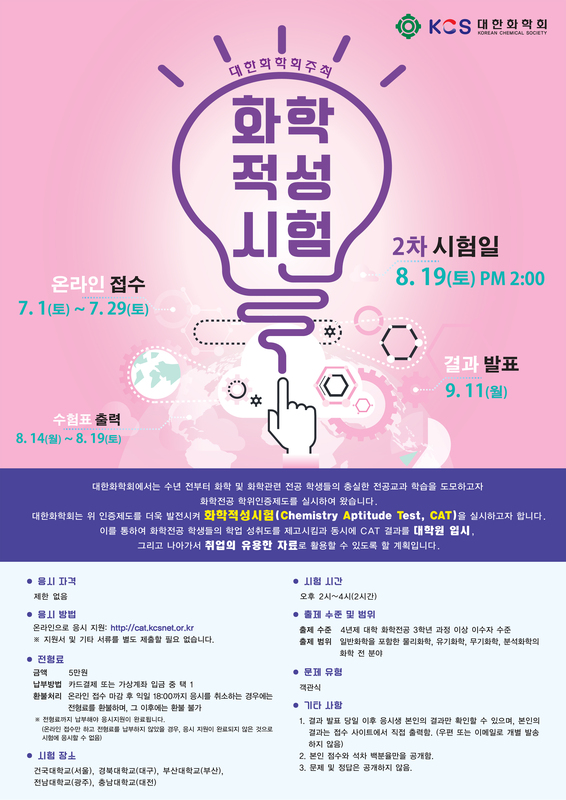 공지사항 화학적성시험(Chemistry Aptitude Test) 주요 안내사항 입니다. Copyright © 2016 대한화학회(The Korean Chemical Society). All Rights Reserved.